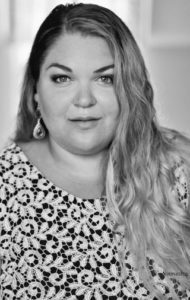 Meet our 2018 recipients below and read about the opportunities they were able to experience thanks to the Art Song Foundation of Canada and the generosity of our donors. 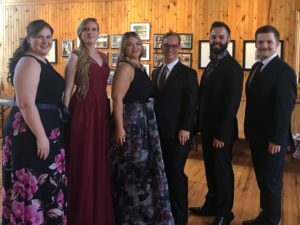 Thanks to the Art Song Foundation of Canada, I spent one week in beautiful Barachois, New Brunswick, working with talented and giving faculty and peers as part of the Emerging Artists Program at the Barachois Summer Music Academy. 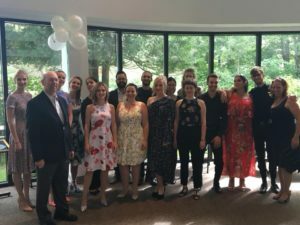 We had the opportunity to explore new Canadian repertoire in an intimate and in-depth way while working with our assigned partners extensively on various groups of songs. 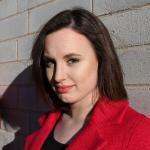 Mezzo-soprano Camille Brault and I enjoyed discovering Pierre Mercure’s Dissidence together. This set of three French songs to poetry by Gabriel Charpentier was an exciting challenge for us to explore together. One of my favourite parts of our process was finding the fluidity of the French language and how it intertwined with the musical setting of the text. Baritone Dominic Veilleux and I worked on Three Norwegian Songs set in English by Norbert Palej. Together, we tacked the challenge of bringing these very atmospheric pieces to life. 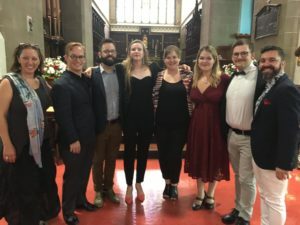 Collaboratively, all six participants (four singers and two pianists) worked towards three performances of our assigned Canadian art-song cycles, as well as Schumann’s Spanisches Liebeslieder. Four-hand piano with singers is a rare and special treat! The opportunity to play piano duo with singers was a highlight of the week. Schumann’s Spanisches Liebeslieder was a great piece to whet my appetite for this repertoire. As I continue my studies in collaborative piano, I will now look for more opportunities to perform duo piano with singers. 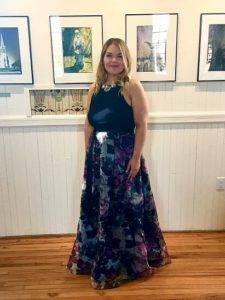 As a native of Saskatchewan, the opportunity to perform three concerts in New Brunswick and Prince Edward Island was exciting! We travelled to and from each concert as a group: in Barachois, Fredericton, and Charlottetown. It was especially enjoyable to spend time with the faculty; that allowed us to connect with our teachers on a different level than many programs do. Thank you to the Art Song Foundation of Canada for making this week possible. 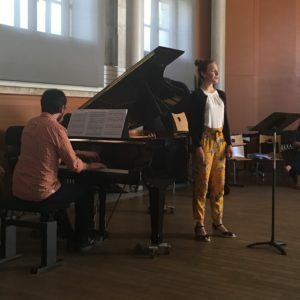 Mille mercis à la Art Song Foundation, qui m’a permis de vivre dix jours incroyables auprès de collègues et enseignants extraordinaires dans le cadre de l’Académie de l’Été musical de Barachois. 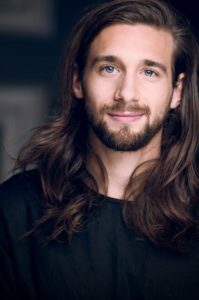 Ce programme, qui en est à sa deuxième année, accueille quatre chanteurs dans la section Emerging Artists en se concentrant particulièrement sur le répertoire canadien, mais permet également de travailler en ensemble sur des musiques d’ailleurs. Cette année, nous avons eu l’opportunité, mes collègues et moi, de travailler sur l’œuvre de Robert Schumann, Spanische Liebeslieder op. 138, pour quatre voix et deux pianistes. 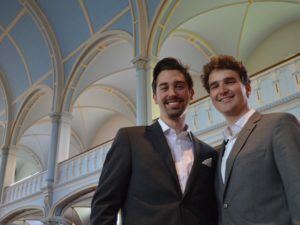 Le défi était donc d’autant plus relevé alors que nous étions accompagnés d’un duo de pianistes, eux aussi étudiants. Un sextuor des plus somptueux, je vous le dis. 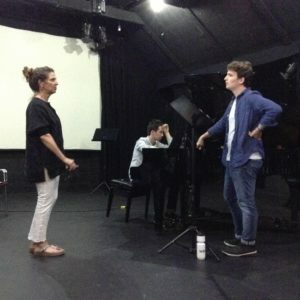 Auprès de la soprano Nathalie Paulin et du pianiste Julien Leblanc, j’ai personnellement eu à travailler les Chansons de mon placard de Peter Tiefenbach. Plutôt exigeant vocalement à cause de ses registres variés, ce cycle de quatre pièces consiste en la mise en musique d’étiquettes de certains produits que le compositeur possédait dans son garde-manger. Le plus difficile reste cependant de garder son sérieux lors de l’interprétation de ces morceaux qui doivent être chantés avec humour et audace. 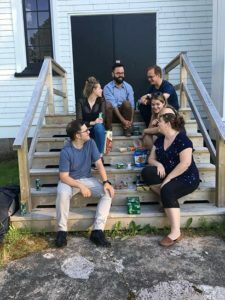 Après six jours de travail, nous avons débuté une série de trois concerts dans les provinces maritimes, en commençant par l’Église historique de Barachois où se tenait le stage (en partenariat avec l’Université de Moncton). Ensuite, nous avons fait un bout de chemin vers la capitale du Nouveau-Brunswick, à la Christ Church Cathedral de Fredericton, pour un court récital, avant de finalement clore cette série à l’église Kirk of St. James de Charlottetown à L’Île-du-Prince-Édouard. Je ne remercierai jamais assez la fondation de m’avoir offert l’occasion de poursuivre mon éducation musicale auprès de chanteurs et professeurs aussi inspirants et inspirés. 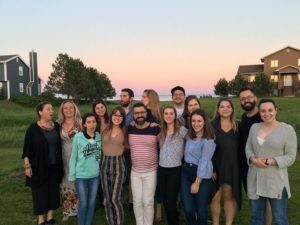 Thanks to the support of the Art Song Foundation of Canada, Alex Soloway, my duo partner, and I had the privilege of attending the Musique sur mer en Acadie summer program, where we worked with American pianist Susan Manoff for a week. Not only were we able to work thoroughly on two new cycles, the intimacy of the program set up by Carl Philippe Gionet allowed us to explore and push our artistic boundaries, rather than focus on preparing and performing repertoire. This helped us immensely to have a better understanding of what we might be able to offer as performers, and it solidified our musical relationship, while opening our eyes to new ways of approaching the art-song repertoire. Many thanks to the Art Song Foundation of Canada for allowing us to have this great learning experience. 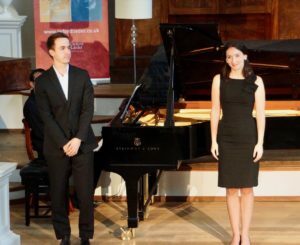 Thanks to the generous support of the Art Song Foundation of Canada, Scott Downing and I attended the Oxford Lieder Festival, held in Oxford, England in October 2018 as one of the nine chosen Mastercourse duos. 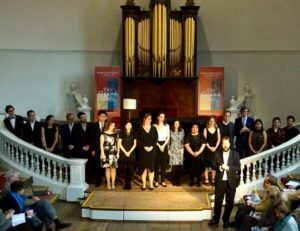 The Mastercourse is a week-long intensive consisting of daily public masterclasses with tutors and evening concerts with visiting guest artists throughout the city of Oxford. 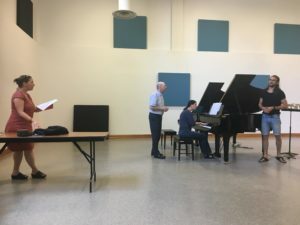 While we were led by our primary tutor, renowned baritone Wolfgang Holzmair, we also worked with guest tutors Véronique Gens, Susan Manoff, Eugene Asti, Roger Vignoles, and Helen Abbott. 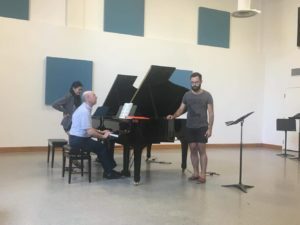 Scott and I brought a wide variety of repertoire to the Mastercourse, including Claude Debussy’s Ariettes oubliées, Hans Pfitzner’s Alte Weisen, and Elizabeth Maconchy’s Sun, Moon, and Stars song cycles, as well as a selection of lieder by Franz Schubert. 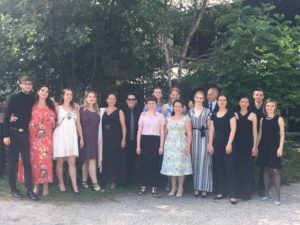 The opportunity to coach this repertoire with mélodies, lieder, and modern-language specialists brought a deeper and more thorough understanding of our interpretations of the poetry and music itself. Having much of our repertoire so warmly and enthusiastically received by Wolfgang Holzmair (particularly the infrequently performed Alte Weisen) was one of the highlights of my week. The nightly headlining festival recitals were the perfect way to wrap up each day of learning. Experiencing our tutors’ artistry and musicianship live and in action, as well as that of other respected musicians, including Camilla Tilling, Dame Sarah Connolly, and Christoph Prégardien, was inspiring, and much of the recital programming encouraged us to stretch our own creative repertoire selections beyond what might be considered traditional repertoire pairings. The Mastercourse culminated in a final concert in the beautiful, historic Holywell Music Room. Each of the nine duos performed repertoire selected in consultation with Wolfgang Holzmair, and the result was a wonderfully varied programme covering everything from Schubert to Berg. 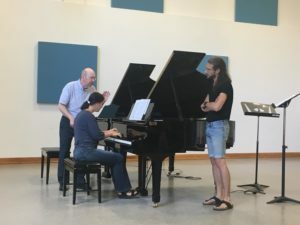 One of the best things about this Mastercourse is that most of the learning is public, which allows the young artists to build unique relationships with the regular masterclass auditors. These auditors are particularly engaged with the development of the duos, and we were greeted by a very warm, generous, and enthusiastic audience of familiar faces at the final concert. Finally, attending the Oxford Mastercourse allowed us the opportunity to work and learn with other young artists from around the world. The selected duos travelled from Scotland, Australia, the USA, Germany, the Netherlands, and elsewhere in England. The calibre of duos was exceptionally high, and the collegial support from each other was outstanding. 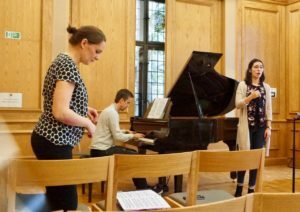 Our incredible colleagues, combined with the outstanding tutors, made the Oxford Mastercourse an exceptional opportunity to learn and grow as artists, musicians, and interpreters. I’m sure that Scott and I will both continue to benefit from the work begun in Oxford and I feel very fortunate for the support of the Art Song Foundation of Canada in pursuing this endeavour. Grace au soutient de Art Song Foundation, j’ai pu, les 16 au 25 août dernier participer à l’académie Francis Poulenc à Tours. Ce fut pour moi une expérience riche en rencontre et en apprentissages. 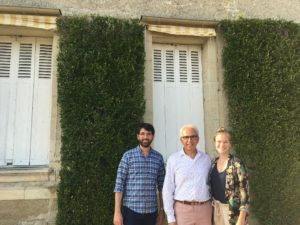 J’ai pu travailler le répertoire de mélodie française avec des sommités du domaine telles que François Leroux, Jeff Cohen et Christian Ivaldi, dans le cadre inspirant qu’est le conservatoire de la ville de Tours. Ce stage très complet avait au programme, en plus des leçons individuelles de chant et piano, des rencontres avec des spécialistes de littérature, de poésie, diction et de méthode Alexander dans le but d’aider les interprètes à maîtriser totalement le contenu des œuvres et en améliorer l’interprétation. Au programme cette année étaient mis à l’honneur les compositeurs Roussel et Ravel en plus des œuvres de Poulenc. J’ai pu y travailler, entre autres, une œuvre de jeunesses de Ravel, soit sa toute première mélodie, La ballade de la reine morte d’aimer, et présenter lors de l’un des deux concerts du stage, la mélodie Manteau de Fleur également de Ravel, qui n’avait jamais été interprétée en concert encore depuis le début de l’existence de l’académie. C’était un stage très important car ce fut une occasion de se perfectionner en duo avec mon pianiste collaborateur Juan David Mora. Il nous tenait très à cœur de participer à ce programme. Nous avions planifié ce séjour presque un an à l’avance et sans le support de Art Song Foundation, nous n’aurions pas eu la possibilité de réaliser ce projet. 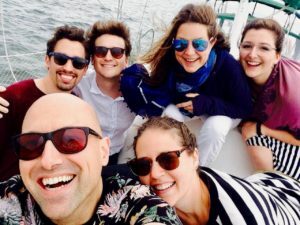 For just over a week, a group of four singers and two pianists worked intensely with pianist Julien LeBlanc and soprano Nathalie Paulin preparing a program for a recital tour. 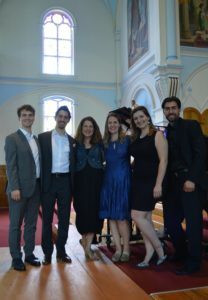 We had coachings with them at the Université de Moncton Department of Music and at the Église Historique de Barachois. 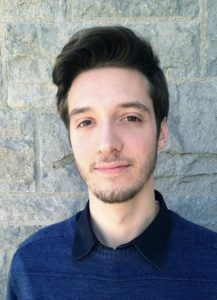 During the course, participants also met twice with Geordie Miller, a post-doctoral fellow in Creative Writing and English at Mount Allison University. With him, we learned about poetry analysis and approaches to recitation; each of us examined a poem from our repertoire. Exploring the text away from the musical score and reciting it had a marked impact on my interpretation. I studied and performed Peter Tiefenbach’s Chansons de mon placard with soprano Audrey-Anne Asselin, Five Songs From Northern Sea by Gavin Bryars with tenor Joé Lampron-Dondoneau, Acadian folk songs arranged by Frederic Chiasson, and Schumann’s Spanische Liebeslieder, Op. 138, a work for piano four-hands and SATB. Pianist Kerry Agnew and I got to play this piece as a duo; it was wonderful to delve into this music with her and have discoveries together. It is not so often that two pianists accompany vocalists at the same time! 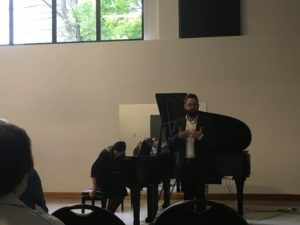 Thanks to the focus on art song by Canadian composers, I heard performances of many pieces I hadn’t known before and learned of so much repertoire that I look forward to programming on future recitals. A highlight and unique aspect of the academy was the concert tour, as I had not encountered this before at any training program. Musicians learn so much about their repertoire and themselves during live performances; so having several opportunities to share our work with different audiences enabled us to feel comfortable with the music and be more spontaneous. 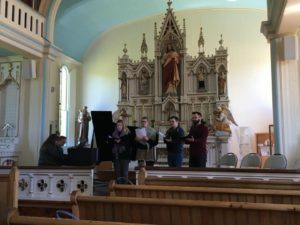 We performed in the Église Historique de Barachois in Grand-Barachois, Fredericton’s Christ Church Cathedral, and Charlottetown’s St. James Presbyterian Church. 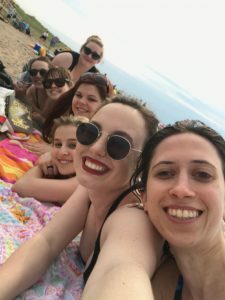 It was beneficial to be part of a small cohort of musicians, as it gave us plenty of time to do thorough, detailed work with our mentors, and it gave us all a chance to connect on a personal and musical level. It was my first time performing in New Brunswick and Prince Edward Island, and it was fantastic to experience the culture of these provinces. I hope to return soon. Thank you to the Art Song Foundation of Canada for the support that allowed me to participate in such an excellent art-song program in Canada. I am truly grateful. 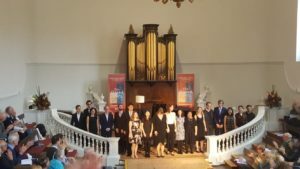 Thanks to the Art Song Foundation of Canada, I was able to attend the Oxford Lieder Mastercourse in Oxford, England, in October, 2018. 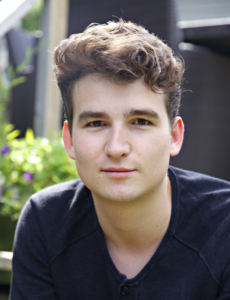 The Oxford Lieder festival is a two-week-long annual series of masterclasses concerts, and events that attracts some of the world’s greatest singers and pianists. The Mastercourse takes place during second week of the festival. 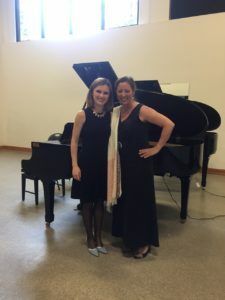 Along with my duo partner, Carolyn Beaudoin, and eight other pianist-singer duos from around the world, I participated in daily masterclasses and lectures with renowned artists and professors, such as Wolfgang Holzmair, Veronique Gens, Susan Manoff, Eugene Asti, Roger Vignoles, and Helen Abbott. 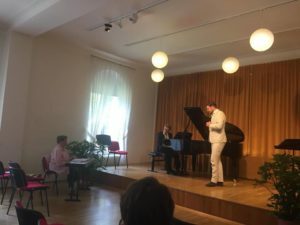 During the course of the week, Carolyn and I were able to cover an extensive amount of repertoire during both morning and afternoon masterclasses: namely, Debussy’s Ariettes Oubliées, Hans Pfitzner’s Alte Weisen lieder, and three songs of Franz Schubert: NachtStück, Heimliches Lieben, and Du liebst mich nicht. 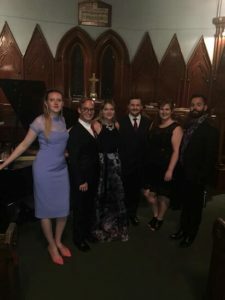 Being able to work with these artists was a truly unforgettable experience, and their fiery passion for our repertoire was absolutely inspiring. Their guidance and teaching produced dramatic changes in our interpretation and dared us to go even further outside our comfort zone to continue to ignite the words on the page. The masterclasses took place in the gorgeous rooms and halls at both Lincoln and Trinity colleges on the Oxford campus. During the week, we were also treated to an exceptional lecture by Helen Abbott, a professor of modern languages from the University of Birmingham. Helen is a specialist in 19th-century French poetry and music and was able to take us though Debussy’s approach to setting music to the unique and often indirect poetry of Verlaine. Each night we attended concerts given by our masterclass coaches mentioned above and other world renowned artists, such as Dame Sarah Connolly, Christoph Prégardien, Kate Royal, Camilla Tilling, and Ulrich Eisenlohr. 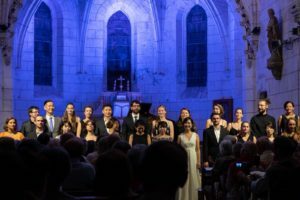 These concerts were truly inspiring and unforgettable; they took place in the gorgeous Saint John the Evangelist Church and the famous Holywell Music Room, which is said to be the oldest purpose-built music hall in Europe. The final concert, which featured all students of the Mastercourse also took place in the Holywell Music Room. It was an honour to share the stage alongside eight other absolutely outstanding duos from around the world. It was also incredible to see the very high level of artistry that had been achieved by each duo over such a short period of time. Overall, this experience was completely enriching, and I am truly grateful to the Art Song Foundation of Canada for supporting me in this unforgettable experience. 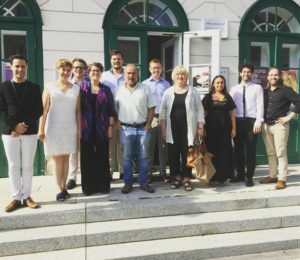 This past summer, I had the great joy of attending the 40th anniversary of the Franz Schubert Institut in Baden bei Wien, Austria. 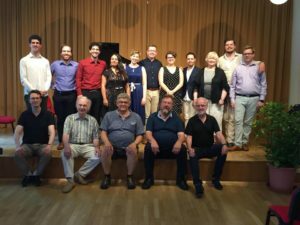 This year, the course was an abbreviated nine-day program instead of the regular five weeks because of the passing of Dr. Deen Larsen, the founder of the Franz Schubert Institut. With the passing of Dr. Larsen came many changes within the program itself. 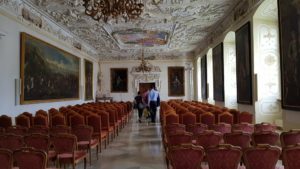 I had also had the great fortune to attend the 2017 Master Course of Poetry and Performance of German Lieder; so which I could compare the differences between the two years. Last year, we had 17 different teams of singers and collaborative pianists. This year, we only had five teams, half of whom had participated in the program before. 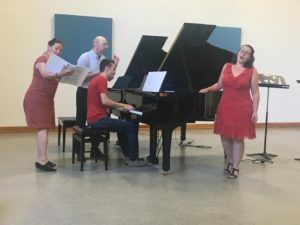 Over the duration of last year’s course, participants performed, on average, five Lieder per week, with guidelines about which repertoire to choose. 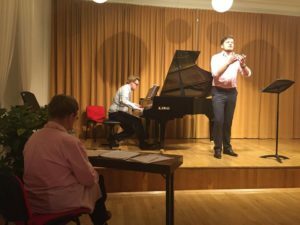 This year, the guidelines were vaguer and, in the week-long course, my partner, Kristján Jóhannesson, and I performed twelve Lieder. Luckily, Kristján and I became friends during the 2017 program, and he had asked if I would play for him this year, making me the only North American-based participant this year. One unique aspect of the program that was missing this year was the daily morning poetry seminar that Deen would give. Many wonderful ideas and forms of inspiration would arise in these poetry seminars. However, it is impossible to emulate the atmosphere and aura that Deen created in the morning poetry seminars; so the organizers decided to take a different approach with the poetry seminars. They did not happen every morning; some days we had the opportunity to share poetry with one another, other days we talked about topics that Deen used to discuss. Many of us — coaches, master teachers, and students — who knew Deen and his teachings would share knowledge that we had collected from him. We had the great fortune to be joined by the brilliant Graham Johnson, who discussed many areas of the poetry and music in a deeper fashion that was similar to Deen but had its own uniqueness. Despite the poetry seminars taking a different form, the ideas and philosophies that Deen had instilled within the program remained in the foreground: the value of the voice and piano as an equal partnership, interpretive ideas for specific works, and, one of the most important lessons, the significance of the text in this art form. 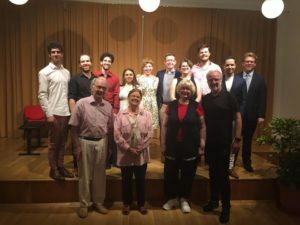 The program held the usual diction coaching with Benno Schollum, Gabriele Jacoby, and Reinhold Schaffrath, and musical coaching with Cynthia Hoffmann and Michael McMahon. The coaching took on the usual form of talking about specific pronunciations and inflexions of the poems. Both the pianist and the singer had to speak the texts aloud; this is crucial. With Cynthia and Michael, we would work on interpretation, technical elements, how to work better as a team, and general artistry. On a personal note, it was one of Michael’s former students who first showed me what Lieder was when I started piano a decade ago. Ever since then, I had wanted to work with Michael, which in itself was a life-changing experience for me. In general, I was inspired to work with each and every one of the coaches and master teachers. The master teachers this year were Robert Holl, Elly Ameling, and Helmut Deutsch, who were inspiring to work again this year, both on stage and from the audience watching them work with our colleagues. Each master teacher offered unique ways of leading a masterclass. What I found most fascinating is the difference I felt on stage this year compared to last year. There were so many concepts and ideas that had grown and sprouted after last year’s program and, as a student this year, I was able to work on a different level than last year. I had always wanted to come back to the program after several years because I always knew that the concepts, philosophies, teachings, and passion would grow more and more each year after my initial year. Already in one year’s time, I felt a significant difference in myself as an artist, which was further propelled by working with the fabulous team of coaches and master teachers once again. Furthermore, the concert featuring past students, coaches, and teachers that took place in St. Stephan’s Church added to the entire celebration of the 40th anniversary in a fashion that was simple but grand in the magnitude of its gesture, representative of the philosophy behind the program. In my last conversation with Deen, he was finding it difficult to decide whether to hold a grand celebration of the program’s 40th anniversary or to keep the celebration simple and not overindulgent, representing the ideas and philosophies of the program. Verena Larsen, Deen’s wife, and the other organisers struck a beautiful balance in the anniversary concert. It was held at St. Stephan’s Catholic Church across the street from the Haus der Kunst, where for many years the students would sing in a mass featuring the Ave Verum Corpus by Mozart, which was written for this church. 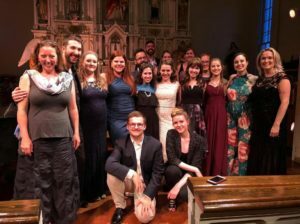 The concert featured performances by past students and many of the teachers such as Michael McMahon, Andreas Schmidt, Robert Holl, Julius Drake, and more. The Ave Verum Corpus was sung by the students of this year’s program as well as the performers of the evening with string quartet instead of the organ. It was a wonderful end to this monumental year for the program. One overriding conflict that I had during the program was my vision for my own future as a student studying and working in this art form. Before the program this year. 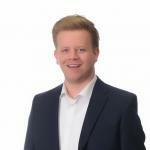 I was set on beginning my studies this fall at the Guildhall School of Music & Drama. After the program, I was torn. 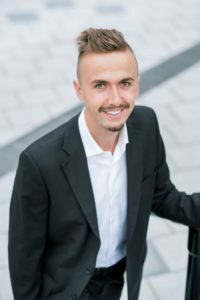 Should I pursue my studies in London or make a move to Austria to live and take private lessons with some coaches and teachers whom I have met through the program? I realized how much I had fallen in love with the people of Baden and with the language. I also realized the potential for me to live and possibly study and work in Austria in the future. I also feel that I have the support of my colleagues from the program, many of the host families, and the coaches whom I have had the distinct pleasure of getting to know over the last two years. My love and passion for this art form have grown exponentially from attending the program again this year. As I say, I was torn. In a weird turn of events, while I was in the program, I was in an accident in which I was hit by a car while riding my bike. Because of this accident and some other complications, I had to withdraw my admission to Guildhall. I felt both devastated and relieved, as it made my decision for my future clearer. My aim now is to move to Austria, once I more or less recover from my injuries. Even though this was a hard decision for me to make, I feel confident that it is a good choice for me at this time. This would not have been the case, had I not attended the program this year. 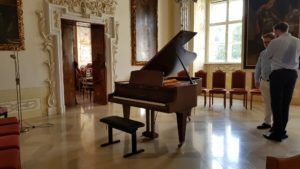 I hope in future to be able to return to the Franz Schubert Institut with my partners from either this year or last year, as the program is planning to revert to the normal five-week format of previous years. This program has single-handedly changed the trajectory of my life, giving me many opportunities, creating life-long meaningful friendships, and providing lessons that I will carry with me for the rest of my life as an artist and also as a human-being; incredible things, such as my perception of the world around me. Without the help of the Art Song Foundation of Canada, I would not have been able to participate in this extraordinary year of this world-class program. I am grateful for their support and how their support has opened up a wonderful, exciting future. Summer Academy in New Brunswick. 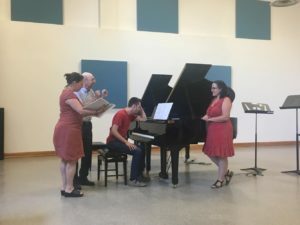 During the 1ten days I was there, I got to work on three of the Five Songs from the Northern Seas by Gavin Bryars, the Spanische Liebeslieder by Robert Schumann, and some traditional Acadian songs with two great teachers: Nathalie Paulin and Julien Leblanc. There were six students in the program: four singers (SATB) and two pianists. We had about five to six days of lessons, coachings, and rehearsals. The last four days were spent giving concerts. The first one was in Barachois, where the academy took place, the second one was a matinee in Fredericton, and the last one was in Charlottetown, PEI. We had from 40 to 80 people in the audience at each performance. After a few months, I can still feel that I grew a lot from my time in New Brunswick. I feel stronger technically, and my chamber music skills have definitely improved. It is still a program under development, as it was only the second year it took place, but it was a great experience nonetheless, and I had an amazing time there. Without the Art Song Foundation of Canada, I wouldn’t have been able to attend and I will be forever grateful for your help. 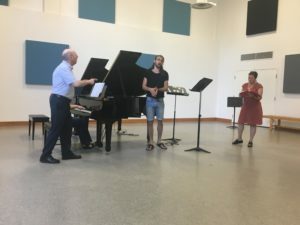 This summer, I had the opportunity to attend the Orford Music Academy’s Contemporary Music program led by Veronique Lacroix and faculty consisting of composers Ana Sokolovic and Jean Lesage. 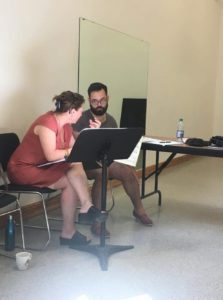 The program was a two-week workshop focussing on works by North American composers, who attended the program alongside the interpreters. 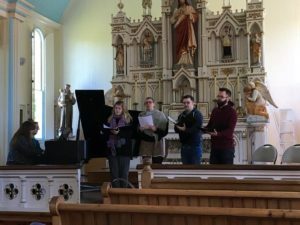 While the program was intense, rehearsal breaks were much appreciated since the program is located in the gorgeous Eastern Townships of Quebec. It was an absolute delight to premiere works by the composers, who were incredibly involved and participatory in the rehearsal process. During my stay, I had the privilege of premiering three works for mezzo-soprano and chamber orchestra led by Veronique Lacroix. 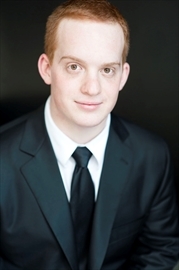 I was especially pleased to have premiered a work for mezzo, chamber orchestra, and megaphone! 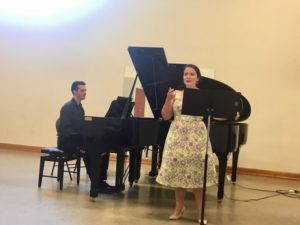 I also performed excerpts of Love Songs, a song-cycle for solo mezzo by Ana Sokolovic, and Deux Poemes d’Anne Hebert for voice and piano by Jean Lesage. Not only this, but I was lucky enough to have the pieces coached by the composers. 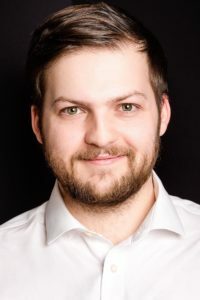 As the only singer in the contemporary program, it was a great experience to work with a chamber orchestra, as well as have discussions with composers regarding the process of composing vocal music, particularly if they have recently started composing for this instrument. 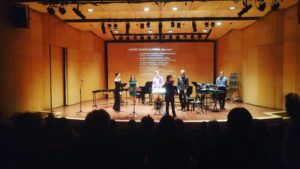 Attending the Orford Music Academy Contemporary program was a hugely formative experience. 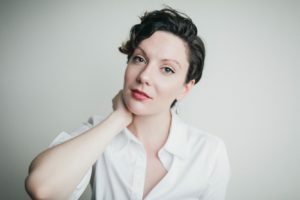 As a young artist who strives for a diverse and versatile performance profile, working with the esteemed faculty as well as colleagues who share similar goals was wildly inspiring and motivating. 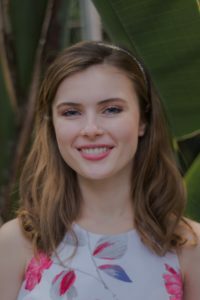 I left the program feeling that I had become a stronger musician and have the momentum to continue my journey exploring and performing contemporary art song. I would like to close by thanking the Art Song Foundation of Canada for their dedication to assisting aspiring professionals achieve their goals through exposure, performance, and education. Thank you for your generosity and commitment to supporting emerging talent. 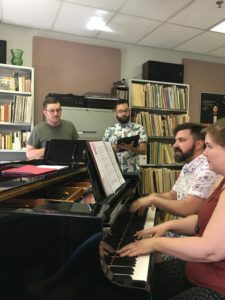 In June 2018, I attended Été musical Barachois, a ten-day vocal training program in Moncton, New Brunswick. Every day we would have either a lesson or a coaching. In my lessons, I learned a lot about breath support and breath control. In my coachings, we worked on keeping the lines spinning through to the end. We worked with a poet on interpretation of our art songs. The group I was included seven girls from all across Canada. We sang trios, duets, and ensembles, which helped to develop our ears. 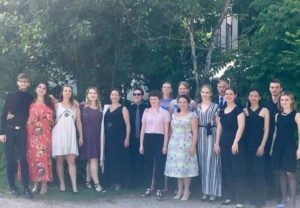 We performed three concerts: at the Historic Site of Barachois Church, at an old folks’ home, and at a nunnery. I am very thankful for the opportunity to attend this program. I have learned a lot about performing and the interpretation of art song. 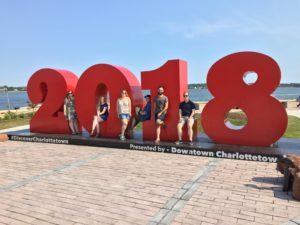 My time spent this summer at Musique sur Mer, in the Acadian cultural capital of Caraquet, New Brunswick, will certainly be a lasting memory for me. It was a highly enriching personal and musical experience. The hospitality and kindness of the people involved in the program, particularly the host families and friends, showed an amazing generosity of spirit that was truly a privilege to benefit from. 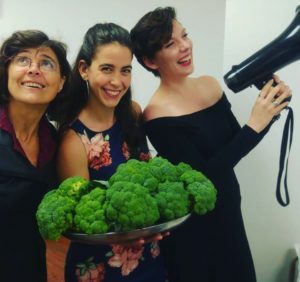 On top of this, Susan Manoff, with whom we were working on the art-song repertoire, was certainly not to be outdone in terms of generosity of spirit. We received an unbelievable amount of energy and thought from her, and every day included new revelations for everyone. 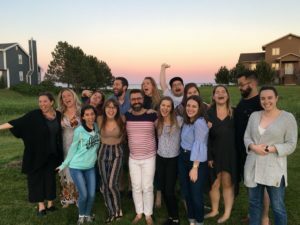 Overall, the whole experience transformed into a feeling of a family of musicians exploring new repertoire together, talking, learning, and sharing our thoughts. Aside from the song repertoire, I got to learn some new things about the history of our country and the Acadian people, and I got some experience with a new language, the Acadian-French “Chiac” dialect, through a stand-up comedy show we attended, as well as through conversation with some Acadian-born peers. Besides all of this, I got to wake up every morning beside the sea and breathe in the serenity of the salty air. 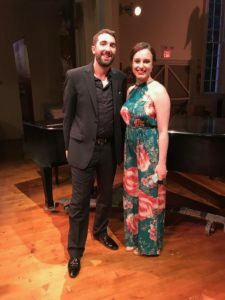 I owe all these experiences to the Art Song Foundation of Canada, which made it possible for my song partner, baritone Olivier Bergeron, and me to travel to New Brunswick and attend this program. 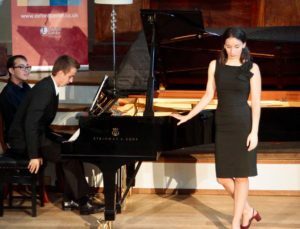 It is a sincere pleasure for me to thank the Art Song Foundation of Canada for the support that allowed me to participate this summer in the summer program of the Schubertklasse Sommersemester in Stuttgart organized by Thomas Seyboldt, a great pianist renowned for his extensive knowledge of Schubert and the Lieder repertoire. I was fortunate enough to work with two singers and two different pianists, all students with me on the program. We worked on four different songs by Schubert and performed in two concerts. Additionally, we attended two masterclasses held by Prof. Seyboldt, as well as a group class where we performed for the first time the repertoire we had been working on. It was an intense experience that allowed me to gather much knowledge and to make new contacts from all over the world. I was fortunate enough to accompany two singers (both baritones): one from Germany and the other from Mexico. As a singer, I was accompanied by a young Russian woman. Apart from these main events, we had many private lessons with Prof. Seyboldt, as well as many hours of individual practice and rehearsals. The program concluded a lovely late-night dinner at a local restaurant. 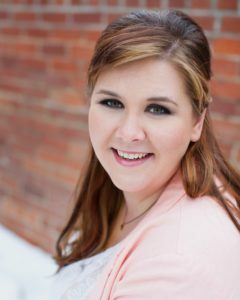 Link to recording of final concert. Je remercie chaleureusement Art Song Foundation of Canada de m’avoir permis de vivre une semaine fantastique à Orford Musique. Le temps passé à l’académie m’a aidé à construire et peaufiner l’art du lied et de bâtir une meilleure confiance en cet art qui sied merveilleusement à ma voix. Lors de cette semaine de qualité, j’ai travaillé en duo avec la pianiste Rayna Slavova, pensionnaire aussi, sous la tutelle des maîtres Nathalie Paulin et David Lutz. Nous avions la chance de participer à tous les jours à des classes de maître sur le lied pour y travailler les différents moyens d’expression possibles et d’y préciser la prononciation et les couleurs particulières à la langue allemande. Nous y avons présenté une oeuvre que j’adore, le Liederkreis op.39 de Robert Schumann. M. Lutz, qui connaît ce cycle jusque dans les plus infimes détails, a su nous guider dans ce chefd’oeuvre et nous ouvrir les yeux sur certaines subtilités musicales et historiques. Avec Mme Paulin nous avons travaillé sur la voix et le souffle pour rendre de façon sonore toutes ces nouvelles informations révélées par M. Lutz. L’environnement d’Orford est magnifique et aide énormément le travail et alimente l’inspiration. Cet espace vert et confortable nous offre le temps requis pour travailler en détente et précision. J’ai pu profiter de l’excellente salle de concert Gille-Lefebvre en fin de parcours pour y présenter avec Rayna le fruit de notre travail au concert final de cette première semaine d’art vocal. 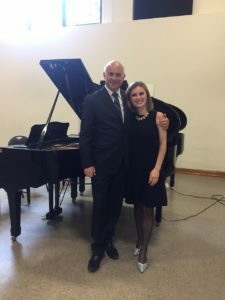 I am so grateful for the support of the Art Song Foundation of Canada, which enabled me to spend three weeks at the Orford Music Academy’s program for pianists and singers this summer. 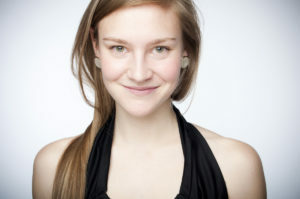 It was especially well-timed, because I had formed a duo earlier in the year with a soprano from the University of Montreal, Agnès Ménard. 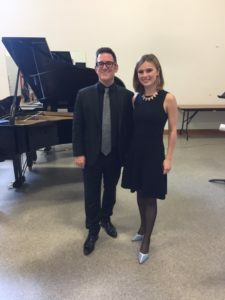 It was a wonderful opportunity for us to grow together as a duo and to learn new repertoire for future concerts, competitions, and summer festivals. The program also permitted me to work with other singers and with many inspiring teachers. All the teachers were amazing. Their comments were always constructiv, and their positivity helped us gain confidence, which, in turn, made it much easier for us to take risks. We were able to cover material from many different eras and in several different languages, as all the teachers were very versatile and knowledgeable. David Lutz was especially insightful when working on Viennese music. I’m very happy that I was able to work on all of Berg’s Sieben Fruhe Lieder with him, as well as Schubert and Strauss. This knowledge will also be very helpful when working on chamber and solo works by other Viennese composers. We were lucky that Nathalie Paulin, Benjamin Butterfield, and Francis Perron gave a concert at Orford the Sunday before they taught us. The concert was wonderful and, during the following week, it served as a reference in our minds every time they made comments about our playing. I also found that I learned much from watching the other students play in masterclass and in concerts. Every Friday, we played a short concert with our colleagues, and I also played one extra concert a week at different venues. I’m happy that I was given these opportunities to break in new pieces and to delve further into certain ones that I had worked on previously. Agnès and I also premiered a song I had written earlier in the year based on a poem by British-Canadian poet Robin Skelton. I’m currently trying to write more songs, and this year I will be playing many more concerts with Agnès Ménard in and around Montreal. I don’t think these projects would have been possible, were it not for the generous help of the Art Song Foundation of Canada and its donors. Je tiens à remercier chaleureusement la Art song Foundation of Canada, qui m’a aidé à participer au stage de duo piano-voix de Orford Musique. Grâce à cette aide, j’ai eu la chance de travailler avec des professionnels de renom sur un répertoire qui m’est cher, le lied. J’ai été jumelé à la pianiste Cissy Zhou, et nous avons exploré ensemble le Dichteliebe, de Robert Schumann. 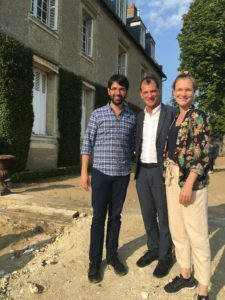 Orford Musique a invité un des plus éminents spécialistes du genre, David Lutz, pianiste, qui a collaboré avec les plus grands chanteurs du monde. 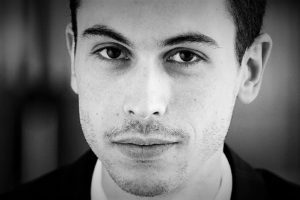 M. Lutz est une source d’informations incroyable, et à son contact, nous avons appris énormément sur l’art d’interpréter la musique allemande. Nous avons été privilégiés de pouvoir le voir à tous les jours, soit en coaching privés ou en classes de maître. 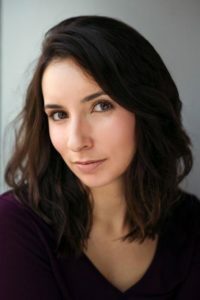 L’autre excellente professeure du stage était la soprano Nathalie Paulin, avec qui j’ai développé une fantastique relation au cours de la semaine. Mme Paulin réussit très bien à communiquer la joie de chanter, dans la facilité et la détente, et c’est exactement ce dont j’avais besoin à ce moment. M. Lutz et Mme Paulin donnaient les classes de maître conjointement, et leur complicité était palpable. Il a été vraiment très agréable et utile de les voir travailler ensemble. Orford Musique est un lieu d’apprentissage hors pair. Le site est enchanteur, la salle de concert sublime, et les locaux de pratique sont fantastiques. Cissy et moi avons eu le plaisir de présenter des extraits du Dichterliebe en concert grâce à la série Orford sur la route. On a pu constater à quel point, en quelques jours à peine, le travail fait avec les maîtres avait porté fruit. 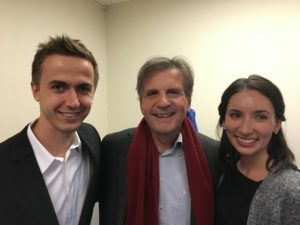 Encore une fois, je remercie la Art song Foundation of Canada pour son soutien dans le développement des jeunes musiciens; sans cet appui, je n’aurais sans doute pas pu profiter des judicieux conseils de merveilleux professeurs comme David Lutz et Nathalie Paulin. Over the first two weeks of July, I had the pleasure of participating in the Orford Summer Academy, which was made possible with the help of the Art Song Foundation of Canada bursary. The wonderful faculty at the Academy for the voice and piano program, which included Nathalie Paulin, David Lutz, Benjamin Butterfield, and Francis Perron, challenged and motivated me. It was especially great to work with masters in both voice and collaborative piano. The program provided ample practice time and opportunities for performance, whereas some other programs only give you one of those options. There was so much helpful insight from the faculty during private lesson times and collective input during masterclasses that put all the new ideas together. There was also a wonderful CBC music broadcast concert held during my stay. It featured Nathalie Paulin, Benjamin Butterfield and Francis Perron, and was breath-taking and inspiring. Alongside meeting and working with such renowned faculty, I had the opportunity to learn from my peers in concerts and masterclasses. It is always a wonderful opportunity to see my friends learning new things and putting them into action. The environment was extremely supportive, and it was wonderful to hear congratulations all around after performances as the work we put in came to fruition. I look forward to incorporating what I learned in this program into my work as a performer as I prepare for auditions to masters’ programs. I would like to thank the Art Song Foundation of Canada and its donors once again for helping me pursue this journey. 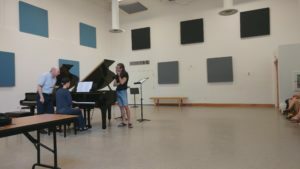 Week 2 at the Orford Summer Academy Voice and Piano Program.